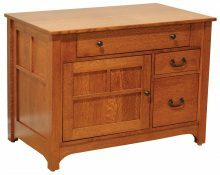 If you’re looking for a new desk for an office, study, bedroom, or dorm room, look no further than a durable, Mission-style desk. Our Mission desks are incredibly strong and durable, which means they won’t wear down after repeated uses. Instead, Mission desks are built to last for years despite being used daily. For extra storage space, choose a Mission desk with drawers and shelving built in. There are lots of options for drawers and shelves, so you’ll have no problem choosing one that will suit your needs. 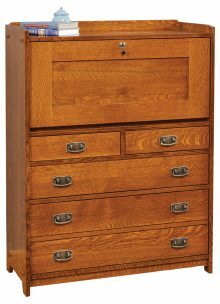 Roll-top desks with plenty of drawers are great options for enclosed storage space. 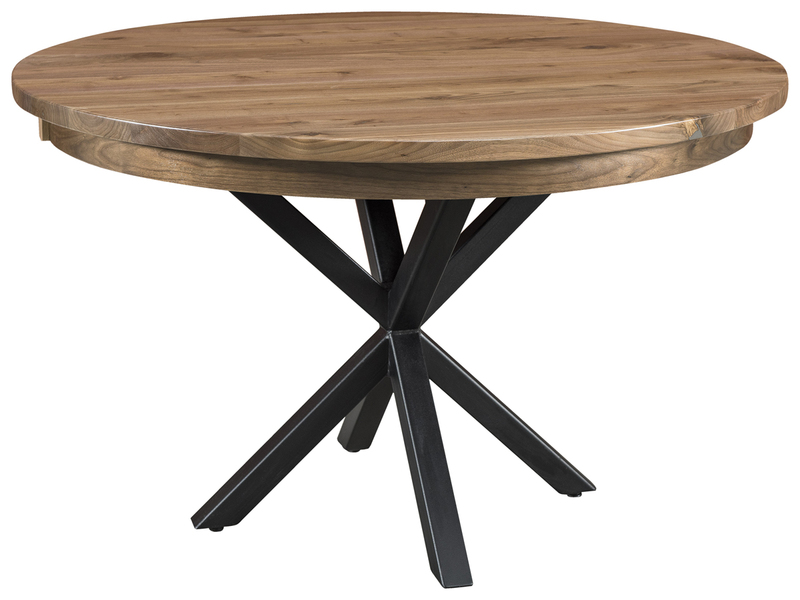 L-Shaped Desks: L-shaped desks are a suitable choice for people who need a lot of storage and extra table-top space. These desks work best in the corner of a room to save space. Partner Mission Desks: If you have limited space but need desks for two people, consider a Mission partner desk. The partner desk style allows both people to have their own tabletop while taking up less space in the room than two separate desks would. Standing Mission Desks: For an alternate style desk, standing Mission desks are also an option. Various styles are available, from adjustable standing desks to sit-and-stand style desks. Other styles are solely standing desks and do not have the ability to convert to a sitting desk. Give your legs a stretch and improve your overall health with a standing Mission desk. Most of the standing desks also offer drawers and extra storage space. 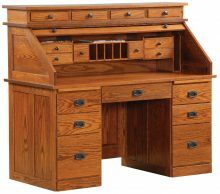 For a more classic look, choose an executive desk, writing table or standard Amish desk. Many of these desks come with options for drawers, shelves and a hutch. Almost any configuration imaginable is possible. Every aspect of a mission desk is customizable from the style and storage options to the wood and finish colors. Choosing a mission desk means choosing a desk that you can depend on. The desks are built with daily, repeated use in mind. Find any style from classic to contemporary to match the style of your office. Plus, when you shop with AmishOutletStore.com, you can get Mission desks for up to 33% off the retail price.